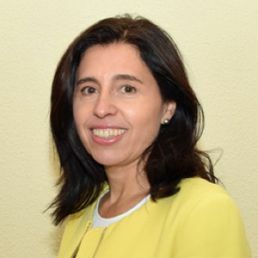 Ana Barreira is a lawyer and Director and founding member of Instituto Internacional de Derecho y Medio Ambiente (IIDMA). She is legal adviser of Common Home for Humanity (CHH). From the beginning of her professional career at the Environmental Law Department of Allen & Overy in London in 1993 she started to cover climate change among her areas of work and attended COP5 in 1999. In 2001-2002 worked as senior legal advisor for the 2002 Spanish European Union Presidency focusing in the World Summit for Sustainable Development preparatory process including climate change issues. She was the attorney for Oceana Europe from 2005 to 2016. She has worked in projects related to environmental law and policy as well as on projects on legal drafting and law implementation in Albania, Bosnia and Herzegovina, México, Portugal, Republic of Montenegro, Republic of Serbia and Slovakia as consultant for the World Bank and the European Commission as well as for the compliance mechanism of the European Investment Bank. She participates in international negotiations. Ana is a member of the IUCN Environmental Law Commission. She holds LL.Ms (Master of Laws) degrees: in Environmental Law from London University (1993) and in International Legal Studies from New York University (1996) and a Law degree from Complutense University (1990). In the current of context of the Anthropocene, and having transgressed the climate change planetary boundary action to implement the Paris Agreement is urgent to avoid interference with our Earth System. The Paris Agreement is a concerted societal response to reduce and avoid the terrible impacts of climate change. At IIDMA we consider paramount the engagement of All to ensure its correct implementation by supporting and abiding States legislation and regulations developed to comply with it. We live in word in constant transformation which requires adaptation, this can be achieved through transition. Fighting climate change affects us including the way we earn our living. Resisting to change is the wrong strategy. Just transition for ALL is the path to follow to take advantage of the new opportunities brought by the new economic model to be established to win that fight. The achievement of many #SDGs will help fighting climate change but it is necessary withdrawing the existing legal barriers to achieve them and to ensure compliance and enforcement of our environmental legal order.